Today’s top 5 features an incredible alternative to the traditional keyboard, Snapchat content expansion, Facebook assistants and more of the week’s top tech/marketing news. Dig in! As someone who has recently gone from a Sony Z3 to an iPhone, the massive change in battery life is the thing I’m liking least. This British company may have found a solution to my problems, and it comes in the form of a fuel cell battery, which develops power by mixing hydrogen and oxygen together. Instead of recharging the battery through an electrical socket every few hours, you simply pump hydrogen gas into the iPhone every week to keep it charged up. The company’s CFO admitted that the tech is still a couple of years from being ready for market, but this could spell the end for those battery packs you see people having to carry around alongside their favourite devices. Not only that, but if the technology can be scaled down to the size of an iPhone with minor alterations to the form factor (more vents in the case), then surely it can be scaled up for things like MacBooks and iPads. One to keep an eye on, for sure. Okay, this is pretty incredible. “A pressure-sensitive, multi-touch input device that enables the user to interact with the digital world like never before” – That’s a pretty bold statement. Sensel, based in Mountain View, CA have taken the idea behind the trackpad and made it into something multi-disciplinary and incredibly innovative. They’ve packed in 20,000 touch sensors into an iPad-sized device (done so deliberately for portability, they say). You can also combine multiple keyboards for example, if you want to create an iPiano. It’s incredible. Read more and back the Kickstarter here. I’m a Snapchat fan. I’m not a Snapchat Discover fan. 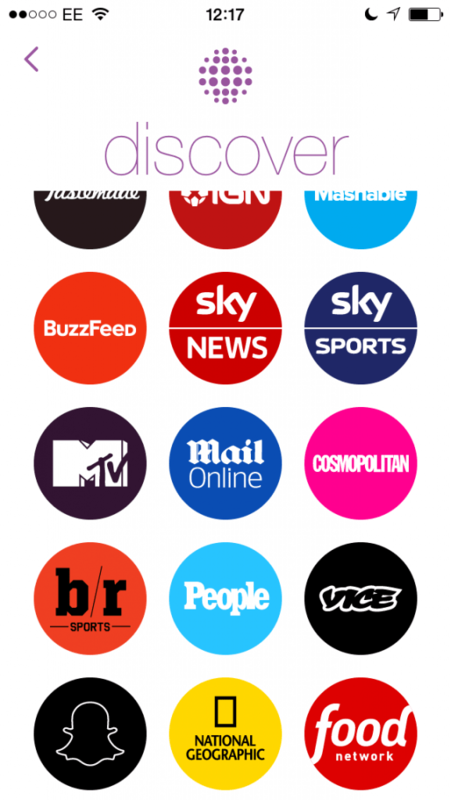 My bugbear with Snapchat Discover is the fact it’s not really that accessible; you have to really go out your way to access it. Maybe Push Notifications every day to view your selected partners would be a good idea. You need to scroll to get the bottom three, cutting three partners’ buttons in half. Read the article (on Snapchat Discover partner, Mashable) here. Facebook are working on a personal assistant. Companies like Facebook with M, Windows with Cortana and Apple’s Siri are using the data that you’ve put into the service to help you with things or give suggestions based on what it knows about you. Putting the assistant inside of Messenger is smart, because people are more used to sending messages like that as opposed to the speech commands like ‘Okay Google…’ or ‘Siri…’. It may also increase the number of app downloads of those last few stubborn people who didn’t download Messenger for privacy reasons or because they just plain didn’t want two apps to do the same as what Facebook’s mobile app seemed to do perfectly fine about a year ago. 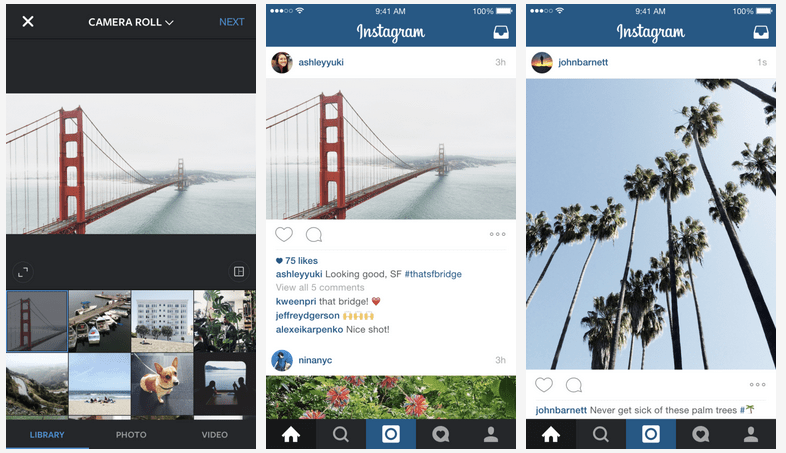 Instagram has, since it’s inception, been famous for its filters and the square polaroid-esque photograph that users could upload. Now, in a move probably aimed towards those who take photos on their DSLRs and know the painstaking process of uploading their DSLR photo to a phone and then to Instagram, only to have part of it cropped out, Instagram now supports landscape and portrait formats. Before, you had to use a third-party app to effectively create a square photo that had a white border either side of the photo. Now it looks so much better. This change also affects video, allowing for widescreen, cinematic playback. Whilst there has historically been separate filters for photos and for videos, all filters will now work on both. You can also adjust the intensity of filters on videos, too. Any tech, marketing or social media news that we’ve missed out and you feel should be in the Top 5 Reads of the Week? Let us know @VelocityDigi or in the comments!